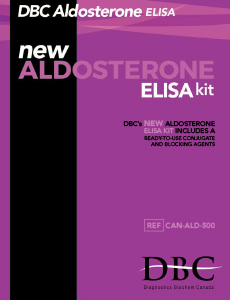 Aldosterone ELISA kit - Diagnostics Biochem Canada Inc.
Aldosterone is a potent mineralocorticoid whose synthesis and release are controlled by the renin-angiotensin system of the body. 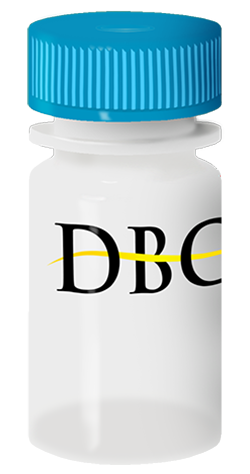 Aldosterone promotes the reabsorption of sodium in the distal tubules of the kidney resulting in potassium secretion along with sodium retention, which controls the circulating blood volume. Chronic overproduction and secretion of aldosterone leads to hypertension. Measurement of aldosterone levels in serum in conjunction with plasma renin activity levels can be used to differentiate between primary and secondary aldosteronism.